The TSL series includes Serfas' single-piece USB-rechargeable lights, designed for commuting, road biking, and off-road rides. 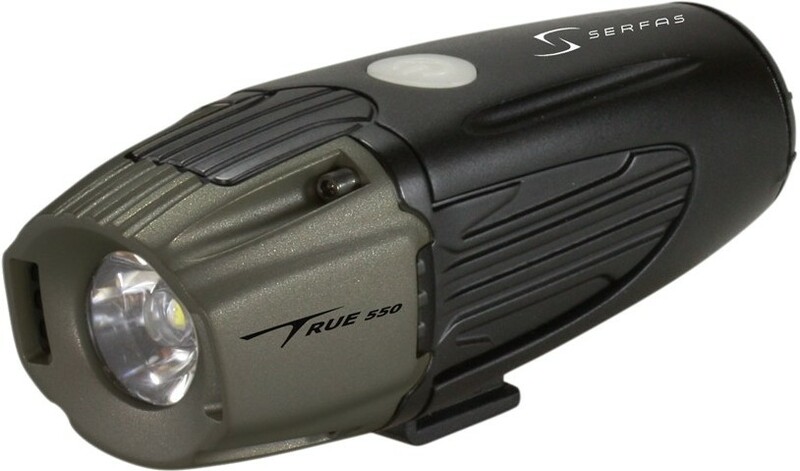 The latest in Serfas' USB-rechargeable TSL line, the TSL-550 is one of Serfas' first lights to feature an interchangeable lens which can be swapped out between a flood configuration and a spot configuration to meet the demands of each ride. The TSL-550 also has a quick-release internal battery so you can bring extra power with you on longer rides.